Dr. Wang is an environmental engineering consultant with more than 10 years of experience. 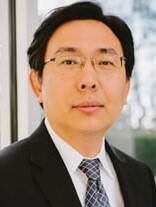 He received his Ph.D. degree from Georgia Institute of Technology and Bachelor degree from Tsinghua University, both in Environmental Engineering. 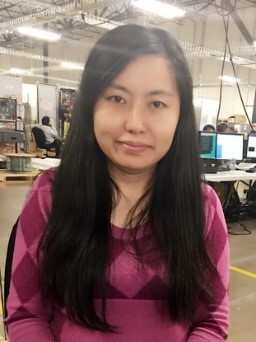 Dr. Wang is a Texas registered Professional Engineer, and works as a hydrogeologist at Ramboll, focusing on numerical simulation of fate and transport in multimedia for litigation support and remediation design. Dr. Wang is also actively engaged in community service and currently serves as Vice President of the CAPST Board. Yixi Ning, Professor of Finance in the School of Business Administration at UHV. Dr. Ning has taught a variety of finance courses at the MBA level. His research areas include investments, corporate finance, and venture capital. He has published over 20 research papers in high-quality academic and professional journals, including Small Business Review, The Financial Review, Journal of Financial Research, Journal of Empirical Finance, Quarterly Review of Economics and Finance, Journal of Accounting and Public Policy, etc.. He has presented his research work on many international finance conferences. Dr. Ning has been actively engaging in asset management, fund operations, and venture capital investments. 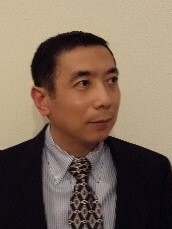 Linhua Guan works as chairman of Star Energy International Corporation (SEIC) in Houston and prior positions include Statoil VP and president of Statoil Technology Services Ltd in Beijing, global strategy manager in London and business development project manager in Stavanger. He joined Statoil in 2006 and previously worked for Chevron in Houston and CNPC in Beijing, respectively. 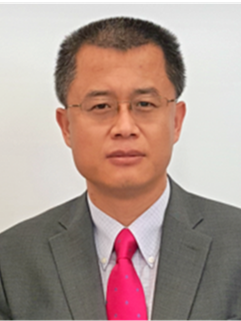 Mr. Guan has extensive petroleum industry experience in technology development, project management, strategy and management from positions in China, Switzerland, USA, Norway and UK. He is a registered petroleum engineer in Texas and served on numerous technical and management committees and published more than 40 technical papers in the past 25 years. Mr. Guan received a BE degree in petrophysics and an MS degree in petroleum geology from China Petroleum University, an MS degree in petroleum engineering from Texas A&M University, and an EMBA degree from Rice University. Dr. Yuxin Fan received his medical training and PhD degree in Genetics at Fudan Univeristy in China. He did his post-doctoral training, medical genetic fellowship and then was a junior faculty in the University of Washington School of Medicine in Seattle from 1999 to 2007. 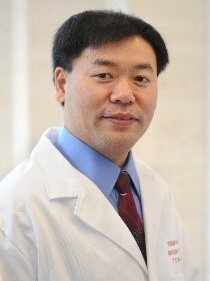 He moved to Baylor College of Medicine in 2007. Dr. Fan currently is the Director for the John Welsh Cardiovascular Diagnostic Laboratory, Department of Pediatrics-Cardiology, Heart Center, Texas Children’s Hospital, Baylor College of Medicine, which is ranked number 1 heart center across the nation. He is board-certified by the American Board of Medical Genetics and Geomics (ABMGG). He is a fellow of the American College of Medical Genetics and Genomics (ACMG), a fellow of the American Academy of Pediatrics (AAP) and a member of the American Society of Human Genetics (ASHG) and American Heart Association (AHA). Dr. Fan is also College of American Pathologists (CAP)-accredited inspector and team leader for clinical lab accreditation. His research is focused on cardiovascular genetics, especially congenital heart disease, long QT syndrome/arrhythmia, and cardiomyopathy. His lab first in the world discovered that mutations in NEXN, a Z-Disc Gene, are associated with hypertrophic cardiomyopathy. Clinically, he is interested in the development and implementation of diagnostic tests for acquired and genetic forms of cardiac diseases including, but not limited to, Marfan syndrome, Loeys-Dietz syndrome, familial thoracic aortic aneurysm/dissection (TAAD), Barth syndrome, dilated or hypertrophic cardiomyopathy (DCM/HCM), left ventricular noncompaction (LVNC), congenital heart diseases (CHD), long QT Syndrome (LQTS), short QT Syndrome (SQTS) arrhythmia disorders, pulmonary arterial hypertension (PAH), arrhythmogenic right ventricular dysplasia/cardiomyopathy (ARVD/C), etc. Dr. Fan is also the immediate past president of Chinese American Heart Association (CNAHA) and visiting professor of Fuwai Cardiovascular Hospital, National Center for Cardiovascular Disease, Peking Union Medical College and Chinese Academy of Medical Sciences, the Second Hospital of Nanchang University, and Anhui Provincial Hospital affiliated to University of Science and Technology of China. 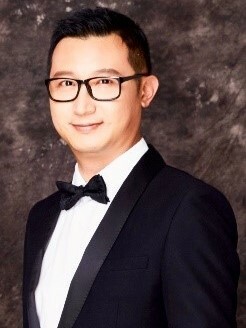 Fan Chen is Co-Founder and Managing Partner of Nguyen & Chen, LLP, where he leads the Firm’s Employment & Immigration Division and Corporate Division. With extensive legal experience, Fan has represented many companies and individuals in a wide range of employment, corporate and immigration related legal matters. Fan is frequently invited to speak on various corporate, employment and immigration subjects. He has advised employers on hiring and firing decisions, wage and hour issues, employment policies and handbooks, restrictive covenants, general corporate matters, mergers and acquisitions, and complex business litigation cases. Fan obtained J.D. from The University of Houston Law Center, and B.A. from Foreign Affairs College (Beijing, China). He is the board member of Treasurer of Asian Chamber of Commerce and board member of Chinese Association of Professionals in Science and Technology (CAPST). Dr. Walton X. Yin, obtained a Ph.D in Biochemistry and Cell Biology from Pierre & Marie Curie University-Paris VI in Paris, France. Following his Ph.D., he trained in Molecular/Cellular Biology and Animal/Cell Physiology as postdoctoral fellow at National Institutes of Health (NIH), Bethesda, MD, USA. He is a member of the American Heart Association and the American Society of Pharmacology and Experimental Therapeutics. He has several innovative patents that have been licensed to a Pharmaceutical company in USA. He, as a Senior Scientist, has been working at Methodist Hospital, Houston. His research focuses on molecular mechanisms underlying cardiovascular disease and on characterization of liposome/cell nanoparticle therapeutics delivery in cardiovascular diseases and on innovative drug discovery for treatment of cardiovascular disease. Mr. Song Liu, is a senior subsea engineer and consultant working in the offshore oil & gas industry with more than 10 years experiences at Aker Solutions, Technip and WorleyParsons IntecSea. Dr. Liu has broad in-depth engineering and project experiences built up in subsea, floating system, marine operation and engineering project management. Before joining the industry in 2005, Dr. Liu has eight years research and development experiences in Tsinghua University, IHI Corp. and Massachusetts Institute of Technology. Dr. holds a Ph.D. in fluid mechanics from Tsinghua University and M.S. degrees (PhD candidate) in mechanical engineering and ocean engineering from Massachusetts Institute of Technology. He is a member of the Chinese Association for Science and Technology USA and plays an active role in a few professional societies and associations. Originally from Qingdao, China. Current CAPST board member. Current associate vice president of Shandong Fellowship Association of Southern US. Currently works at Mcdermott as Senior Instrument and Control Systems Engineer. Previously worked at ABB Lummus, and Bechtel Engineering. Registered Texas Professional Engineer. Work experience primarily includes providing instrument and controls related support and expertise in FEED and EPC projects in the energy sector, project such as Shell Motiva Refinery Expansion Project in Port Arthur, TX and FLNG Freeport LNG Liquefaction and Terminal Project in Quintana Island, TX. Specializes in Oil and Gas related project execution management and construction management. Fire and Gas safety specialist. Previous and current positions held including execution unit and team manager in FEED and EPC projects with responsibilities of overseeing progress, performance, scheduling and staffing of over 30 engineers. 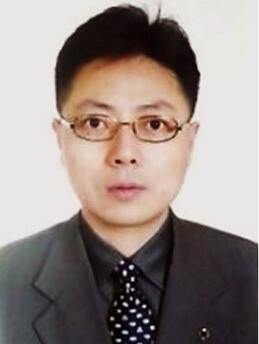 Mr. Gu is Consultant with 26 years’ experience in a variety of industries. He served in different roles as Chemist, Engineer, Technical Director and Manager in several companies. 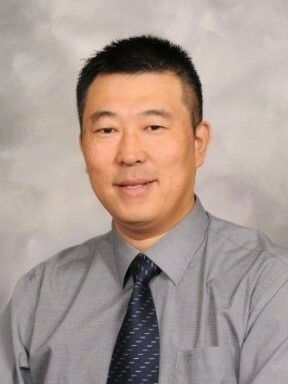 He received his MS degrees from University of Massachusetts for Plastics Engineering, Northwest Polytechnical University at Xian for Polymer Material and Engineering, and MBA from Concordia University Wisconsin. Currently, Mr. Gu works as a consultant providing various services to his clients such as project/product development in chemicals, adhesives, polymers, process, instruments, sports goods, education service, research and information service, and overseas investment. Mr. Gu has been actively participating in CAPST activities in Houston and China including technology transfer, investment and arranging hosting activities for Chinese delegations when they visit Houston. Mr. Gu has been a CAPST member since 1997. He is CAPST Director of Commerce & Management Committee in 2018 and Accounting Director since August 2018. 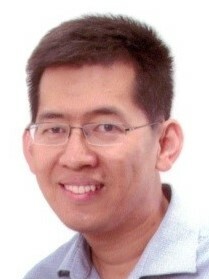 Mike Chen, has successful record of building shareholder value through sound business management including ownership with a full understanding of all aspects of business practices and implementation focusing for China and US startup companies. Seasoned executive possessing a diversified business portfolio and unique mix of skills with emphasis in Ocean Engineering, Life Science, Semiconductor, Energy, Nanotechnology, Telecommunications, Manufacturing, Information Technology and other industries. His working experiences included Exxon, Transocean and SilverPAC etc. Since 2001 up to now, he has been a partner and member of the board of directors of EverRich Capital Inc., a financial consulting company. 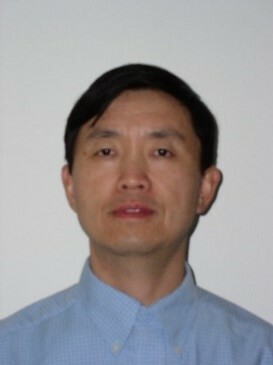 Dr. Chen received his Ph.D. in Ocean Engineering from Oregon State University. Noemie Yang has more than 10 years of experience in Business Operation, Financial and Investment Management. She served Mercedes-Benz China for 8 years as automotive industry executive with expertise in Dealership Regional Business Management. Ms. Yang received her MBA degree from Peking University and Master of Science in Global Finance from Fordham University. Now she is founder of Saga Capital, a capital investment company that brings the best investment portfolios to its clients. Mr. Sui is a senior staff engineer – project management of Baker Hughes, a GE Company since 2011. He is also the founder and CEO of XFrontier Academy LLC. He served as software manager/senior software engineer of Energy Graphics Inc. in Houston, Texas from 2000 to 2011. Mr. Sui was senior chemist of Anacon Inc. from 1997 to 2000. He served as research chemist at DuPont’s R&D in Orange, Texas in 1996. 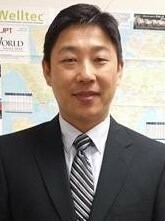 Mr. Sui holds an MBA degree from University of Texas at Austin. While at school, he was a member of consulting club and investment club. He also earned a Master of Computer Science degree from UHCL, a Master of Science in Chemistry degree from Lamar University and a Bachelor of Science in Chemistry degree from Xiamen University. Mr. Sui has great passion for technology, business and finance. He has excellent communication skills, including written, verbal, presentation, listening, and the ability to explain complex technical concepts to a variety of audiences. He also has strong interpersonal skills and exceptional negotiation skills to influence strategic issues requiring coordination across functional/business unit lines or influencing senior leaders regarding matters of significance to the organization. Rock Physics Expert with more than 20 years’ experience in Oil/Gas industry. PhD degree in Physics and master degree in computer science and MBA. Chief Executive officer of several energy company and energy service company. More than 10 years executive experience to build up team, set up company culture, strategy and direction. Successful drill three high production wells with full life cycle management from prospect generation, oil/gas lease, service bid to daily field operation. Award China National Physics Breakthrough in 1999. Ning has been the president of Sunrise Youth Soccer Club (http://www.sunrisesoccerclub.com) since 2016, a 501(c)3 nonprofit organization. Sunrise SC provides a wide variety of structured youth soccer programs that promote skill development, wellness, sportsmanship and fun. Sunrise SC organized over 300 volunteers and helped more than 50 families who were impacted by Hurricane Harvey, about 30 families are from Riverstone community. Ning joined Merrill Lynch in 2016 after working in technology industry for over 14 years. His main focus is investment strategies for individuals, executives and business owners. Ning holds a M.B.A. from University of Houston, Victoria and a Bachelor’s degree in Computer Engineer from Texas A&M University. Ning has been married to his wife Karen since 2003, with their son, Edward, and daughter Elena. Ning enjoys the Texans, Astros & Rockets and playing with his kids. Ning currently serves as the Board of Directors at the Riverstone community in Sugar Land. Riverstone is one of the largest master planned community in the greater Houston area with more than 6,000 households and an annual HOW budget around $6 million dollars. Ning will also join the board of directors of Asian Chamber of Houston in December 2018. 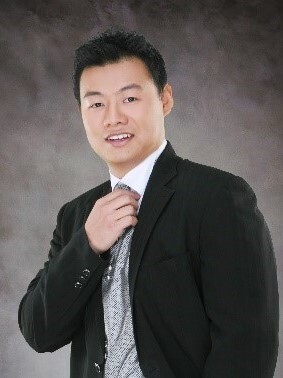 Paul Yin graduated with a master’s degree in electrical and computer engineering (MSECE) and a bachelor’s degree in computer engineering (BSCE), both from the University of Illinois at Urbana Champaign (UIUC), and with highest honors. After graduation, Paul has worked at Texas Instruments and Hewlett Packard for a total of 12 years, assuming critical roles. While at HP, Paul worked as a senior platform development manager, overseeing the development of multiple business notebook products, and obtained the PMP certificate from the Program Management Institute (PMI). During the 12 years working in the hi-tech industry, Paul has built a strong foundation in both innovation and in new product development. In 2017, Paul cofounded Aurora Innovative Technologies, dedicated to developing and productizing cutting edge laser-based gas monitoring solutions, and assuming the role of President and Chief Operating Officer (COO).